As you know, while many people think they are getting enough sleep, they are actually not. Why? Because they might still wake up exhausted due to sleep apnea. Still, to this day, many patients’ sleep apnea goes undiagnosed, which further worsens their overall health, as well as sleeping patterns. As dentists it is our duty to identify potential cases of sleep apnea in our patients because as the population ages and obesity grows, sleep apnea cases continue to climb. Many adults display the classic signs of loud snoring and broken sleep for years without even knowing their airways have been obstructed. Their sleeping partner might think, “Oh, it’s just snoring,” and not bother to research this any further. Or, they might do the classic “middle of the night elbow jab” that hints at, “roll over.” Either way, it is important to identify snoring as a potential sign of sleep apnea. After all, it is better to be safe than miss out on preventing further complications. Year after year we are noticing that sleep apnea cases are climbing because the population is aging and obesity figures are growing. In relation to the past decade, there has been a significant jump in the number of people being diagnosed with nighttime respiratory problems and sleeping disorders. One connection in the rise of these numbers is because there is a link between aging and the propensity of the airway to collapse. As with most parts of our bodies as we age, the structures within the body start to get a bit floppy. This, too, occurs with the upper airways. And, as you are aware, sleep apnea means the muscles in the upper airway relax and the passage of air becomes obstructed at times—slowing or briefly halting oxygen getting to the lungs. Additionally, as people age, we often see that there is a significant expansion in waistlines. 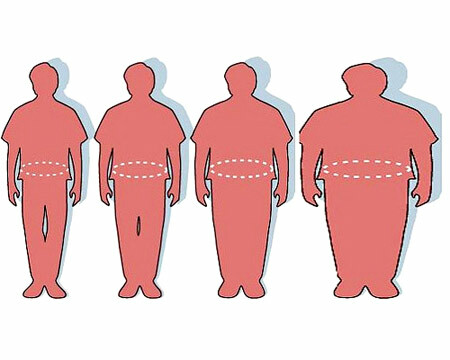 As people gain weight, increased fat deposits within the upper airway and to increased incidents of sleep apnea. Obesity is often one of the leading causes of sleep apnea, which means it is important to inform our patients of weight loss and how important it is to remain active and healthy. To help your patients find relief from their sleep apnea symptoms, oral appliance therapy might be the best option. However, before treatment can begin it is important for your patients to get a diagnosis from a sleep physician. This is where your working relationship with the medical community will come into play. If you have any questions about sleep apnea or the process of diagnosis, please contact Dr. Mayoor Patel for more information.